All wars are brutal, bloody affairs by their very nature, but civil wars are especially so as they involve the entire population. 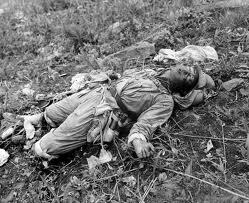 The American Civil War, the first war fought with guns with rifling in the barrels, was especially so. The modern day equivalent of seven million were killed in that war. And so, as we consider the Battle of Gettysburg, it is useful to consider the significance of the American Civil War itself. Several months later (November 1863), President Lincoln gave what was to become one of the most famous speeches in US political history – his “Gettysburg Address” in which he commemorated that bloody battle. The speech was so eloquent because it expressed a resolve to prosecute the war through to the finish – a resolve that had been absent for many years before. One of the aggressions of the slave owners was to form a guerrilla/terrorist band of thugs who raided the settlers in Kansas in order to force slavery on that new state-to-be. Armed defense of these settlers was organized, and out of this a new political party – the Republican Party – was formed. (The present-day Republican Party does not talk about their origins as the vanguard of an armed struggle against Southern racists!) Despite these origins, Lincoln’s position as president was that he was perfectly willing to allow slavery to remain in the then-present slave states, just so long as it did not expand. However, the prohibition of expansion meant the death knell of slavery, and the slaveowners thus turned to armed conflict. Their goal was not simply preservation of this “most shameless” form of slavery; it was to be able to expand throughout the entire continent – not only to what is now western United States, but also into Mexico and Central America, as was shown by their military adventures into those regions before the Civil War. McLellan was not alone in his desire to maintain slavery. 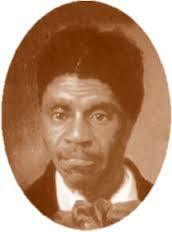 In fact, when General Fremont declared that all slaves in Missouri were free, he was dismissed by President Lincoln. It was only the determination of the slave owners that forced the Northern capitalists to realize that this was an all-or-nothing proposition, that there was no turning back, that a “house divided against itself” (as Lincoln put it in his Gettysburg Address) could not stand and must be either all “free” (meaning capitalist) or all slave. 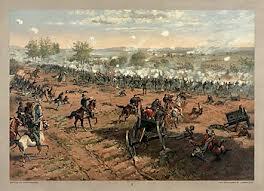 In Gettysburg, Pennsylvania, in July of 1863, the Southern troops reached the height of their advance. Somewhat isolated from their stronghold and somewhat cut off from their supply lines, they were dealt a severe defeat from which they never could recover. Their further setbacks continued despite the ridiculous “anaconda” military strategy of the North for some time. This amounted to surrounding the South and gradually tightening the coils like an anaconda does. Again, Marx submits this to a withering critique and clearly explains what a winning military strategy would be – a strategy that ultimately was more or less carried out, especially by the Northern General Sherman. As for the slaves themselves, they were by no means the passive victims that modern history makes them out to be. Especially following John Brown’s raid on Harper’s Ferry, there was a series of slave uprisings. Then, during the Civil War, they increasingly deserted en masse, with many thousands flocking to the Northern armies with which they wanted to fight against their former oppressors. This had a major role in forcing Lincoln’s hand to declare all slavery abolished. 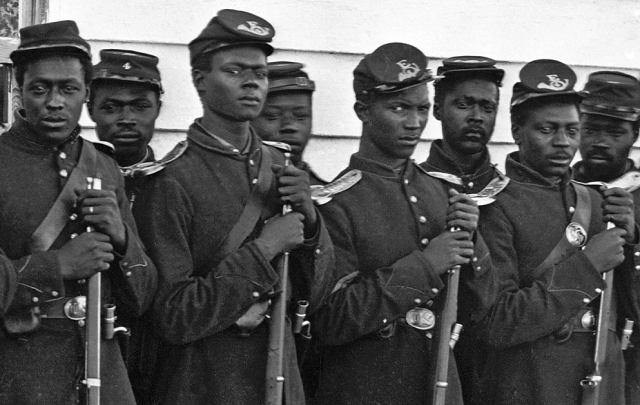 Despite their efforts, and despite the superiority of capitalism (wage slavery) over human slavery, the South might yet have won the Civil War…. because the British capitalists wanted to intervene on the side of the South. Had they done so, and had the South won, then all of world history would have developed differently. That the British capitalists did not intervene we owe to the role of the British working class, who staged mass demonstrations against British intervention and, in effect, in favor of the Northern cause. Today, as we consider the significance of the American Civil War and the Battle of Gettysburg, we should draw some conclusions. The rise to power of capitalism was a progressive step over what came before it – feudalism and, in the case of the United States, even slavery. However, it was accompanied by blood and gore beyond belief, as the Native Americans can well testify. In addition, at every step of the way, the capitalist class sought to compromise and reach an accord with the former ruling classes – the US slave owners for example. It was only due to the determination of the oppressed masses – from the slaves in the South to the wage workers in Britain – that the abolition of slavery in the United States was ultimately accomplished. Even here, though, much, much more is left to be accomplished, as racist oppression went from slavery to official segregation to the present-day mass incarceration of black people. No wing of the representatives of the modern day capitalist class – nor any of the apologists for any wing of these representatives – will be able to resolve this oppression. Only an independent movement of the working class itself, conscious not only of its own economic needs, but of the necessity to eliminate all forms of special oppression, will ultimately accomplish this task. In the foreign, as in the domestic, policy of the United States, the interest of the slaveholders served as the guiding star…. Under (President Buchanan’s) government northern Mexico was already divided among American land speculators, who impatiently awaited the signal to fall on Chihuahua, Coahuila and Sonora. The unceasing piratical expeditions of the filibusters against the states of Central America were directed no less from the White House at Washington. In the closest connection with this foreign policy, whose manifest purpose was conquest of new territory for the spread of slavery and of the slaveholders’ rule, stood the reopening of the slave trade, secretly supported by the Union government. St[ephen] A. Douglas himself declared in the American Senate on August 20, 1859: During the last year more Negroes have been imported from Africa than ever before in any single year, even at the time when the slave trade was still legal. The number of slaves imported in the last year totaled fifteen thousand. We also have a request to our readers: We have noticed that there have been a number of recent hits on this article. We are interested where and how people found it. Any information is appreciated. Question to our readers: We have noticed regular hits on this article – a few per week. We are curious where people are coming across it, and of course also what they think about it. You can respond, if you like, by posting a comment or sending an e mail. Thanks.